Hello Friends! Here is another free downloadable coloring page just because I love you!! You don’t even have to sign up for my monthly newsletter to get it. Although I would LOVE IT if you did!! Get your New Years Coloring Page here! 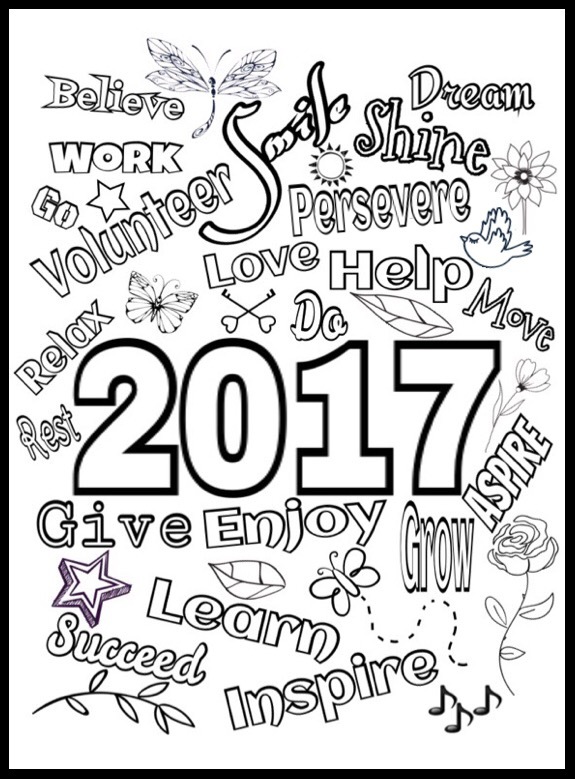 What a wonderful coloring page to celebrate 2017. Would be fun coloring this. Thanks for linking up with Blogging Grandmothers. How cute! I love all of the uplifting and inspirational words. Thank you for partying with us at Blogging Grandmothers Link Party. I shared your post on my social media sites. « Living Joyfully in the New Year!